Type: BOOKS. Detail: Csaba Balogh. Product Code: 9786155793028. 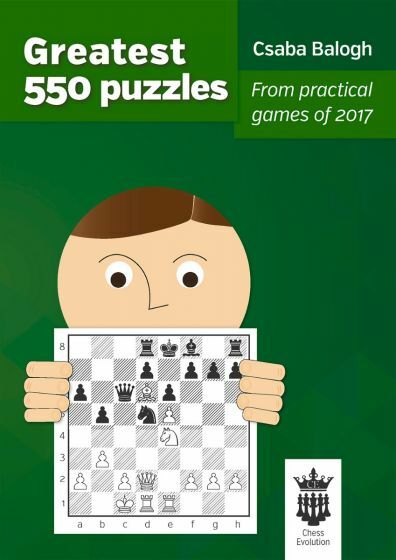 This book consists of 550 practical puzzles from 2017. The combinations are divided into three chapters according to the level of difficulty: "Easy", "Medium" and "Hard" sections. Enjoy the beautiful mating attacks, material wins and many other joyful moments that a spectacular sacrifice can bring! Softback, 232 pages. Fundamental Chess Tactics. Anton Gude. $39.95. Crazy Knights (puzzle game). . $4.95.